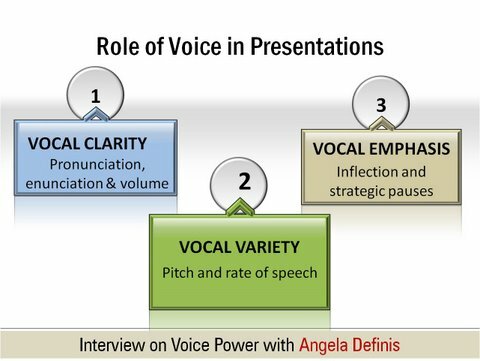 Many presenters have the habit of using quotes from well-known personalities, research or experts as part of their presentation. 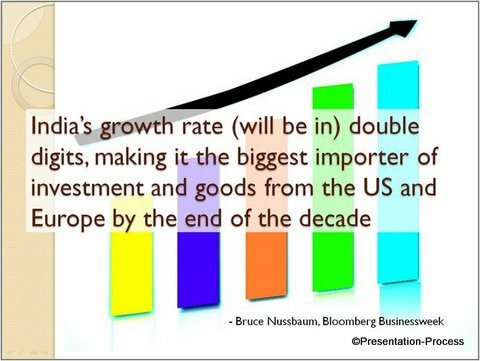 Relevant quotes strengthen a point in the presentation, provide a change from the general flow and show the audience you have done your research. 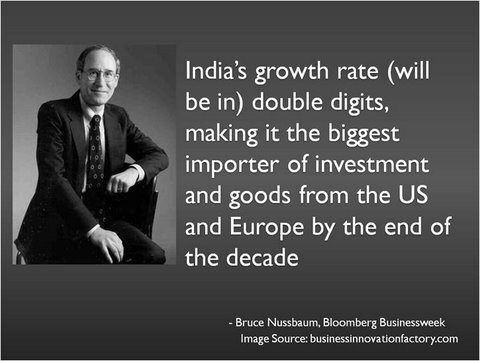 But quotes need to be showcased properly in PowerPoint to make an impact. 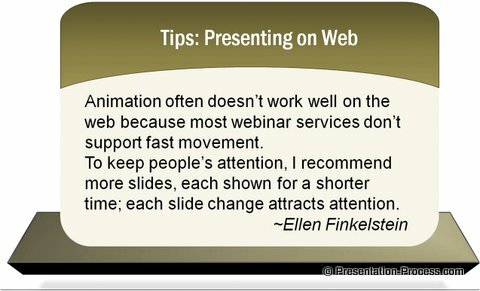 Here are 5 ways in which you can showcase a relevant quote to your presentation. This is the typical way in which presenters put up their slides. You may have seen motivational presentations, with a collection of quotes that use this format. While this format is much better, visually, remember your business audience may not really be interested in seeing what the expert looks like. They are more interested in understanding your source and logic. An image, especially a face, calls audience attention away from your message. If the quote consists of 3 or 4 points which you want audience to pay attention to, you can break it up and show it clearly. Here is the way we showcased a quote from an interview. 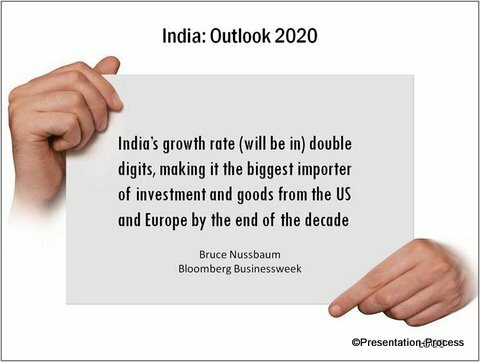 The presentation slide plainly shows the key points of the expert’s comment. This quote template is taken from our Lists Templates – PowerPoint Charts CEO Pack. Call attention to the quote by using an innovative text box. In this example below, we used a platform with a stylish text box on top to call attention to a long-ish quote. If you use such long quotes when presenting, remember to allow your audience a few moments to read through before continuing your talk. Read: How to create such a 3D platform in this PowerPoint tutorial. Based on the nature of your presentation, you can use an image that doesn’t overpower your quote. In this case, we used a simple image of a light bulb to represent an important presentation idea. What is the idea you want to convey with your quote? Here are 2 simple ways to represent quotes in a quote box. The professional bevels, shading and colors make the quote box stand out. You can find various public domain images or images from Microsoft Clipart collection to find suitable “blank” images. This will help you represent your ideas in a creative way. You can use images of billboards, advertising spaces, brick walls etc. to present your PowerPoint quote creatively. 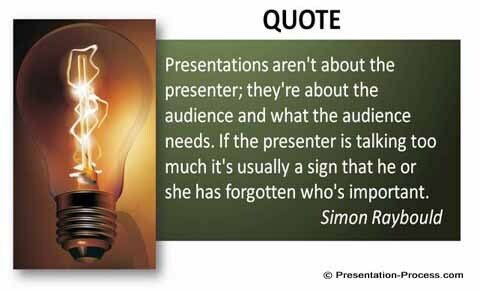 Presenting quotes from experts or research results is a way to support your presentation ideas. Represent them creatively and keep your audience engaged and focused on your message.